Feedback: We want to hear from you! NEXTDOOR | Recommend us to your neighbors! Repairs and warranties you can depend on! West Texas' most experienced group of installer's for a variety of sturdy options for topping off your home or commercial building. Get "FREE ESTIMATES" today on the fast, efficient roof repairs you need to get your home or commercial building into tip-top shape. How about "HAND NAILING" every shingle, every day the old fashioned way. There is never a shortcut for quality at Kincaid Roofing. Learn more about one of our Owens Corning Roofing Platinum Preferred Contractors. We are proud members of the Roofing Contractors Association of Texas and in good Standing. We are Licensed (LIC # 03-0268) through RCAT (Roofing Contractors Association of Texas). We carry a comprehensive $ 1 million dollar General Liability Insurance policy as well as a $1 million dollar Commercial vehicle policy. This is what separates established reputable contractors from those who do not roof day and day out for a living. Always ask your contractor to provide a copy of their insurance. We are fully bonded as well. Owens Corning Platinum Installer: Less than 2% of all contractors have achieved this status with O.C. We are one of the few you will find in West Texas! We also received the Top Performer Bright Star Award from O.C for the Southwest Region in 2015. Over 300 contractors from Texas and Louisiana competed for this prestigious sought after honor. LARCA: We are also proud to be one of the founding members of our local association Lubbock Area Roofing Contractors Association. Proud member since 2006 of the South Plains Better Business Bureau with an A+ rating. SEA: Kincaid Roofing has been a proud member of Sales Executive association since 2008 representing the roofing category. SEA is the oldest running business to business networking group in Lubbock Texas established in 1973. Kris Kincaid served as President for the 2015-16 year and currently still serves on the board. Estimates are always FREE at Kincaid Roofing on Residential and Commercial properties. For real estate that you are about to buy or sell are also always FREE (with in Lubbock city limits). We work with numerous realtors and insurance agencies in Lubbock and the surrounding areas. 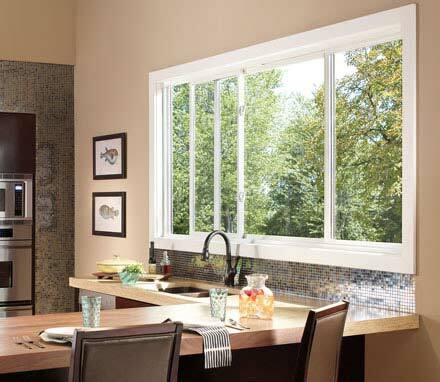 Replacement Windows: We offer the highest quality most energy efficient windows on the market. From double hung to triple payne windows and everything in between. Siding: Tired of painting your home every 5-7 years? Installing high quality insulated backed vinyl siding can save you tons of money in the long run. We install only the highest quality thickest vinyl and steel siding on the market. Kincaid Roofing & Remodeling is locally owned and operated by Lubbock native Kris E. Kincaid. Kris is a product of Coronado High School and is a Texas Tech University alumnus. We are a solid extremely reputable company with deep roots in the Lubbock community. Our main office is located off of 122nd and Frankford. With a brick and mortar office and 5000 square foot shop you can rest assured knowing we will be easy to locate should you ever experience a warranty issue with one of our installs. At Kincaid Roofing we believe the local difference is everything. We service Lubbock and surrounding communities within a 130 mile radius (excluding New Mexico) and the entire state on commercial applications. From small wind repairs to schools and warehouses, we do it all. Download RCAT's Tip Sheet for finding a reputable roofing contractor. Residential: We offer the most complete comprehensive 5 year workmanship warranty available. If for any reason your roof leaks within 5 years of the date of installation we will make any necessary repairs to stop the problem. We will also fix any interior damage caused by the leaks within one year of the roofs completion date. Commercial: We also offer a basic 5 year workmanship warranty on all commercial installations. In addition, we are NDL certified with three major Manufactures, John’s Manville. This means we can offer 10, 15 and even 20 year NDL (No dollar limit) warranties for an additional cost provided through the manufacturers.